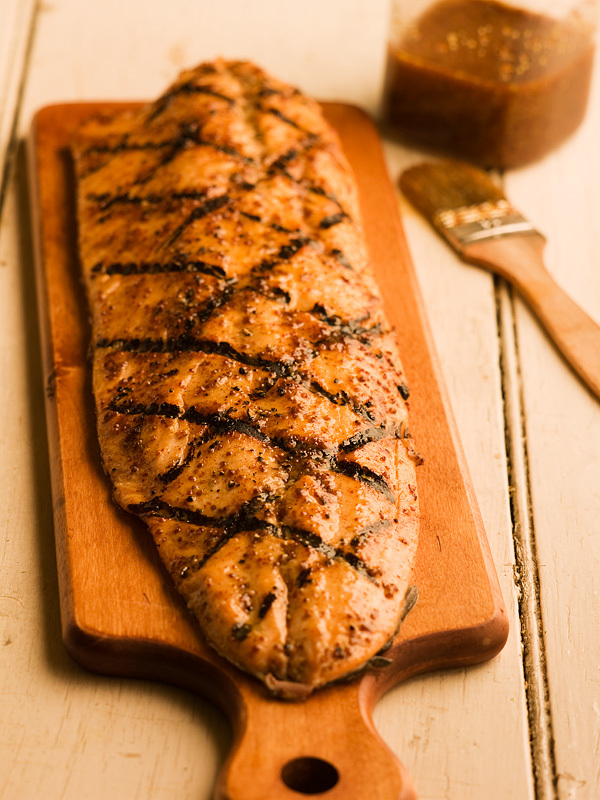 Salmon is a regular guest at our table, often grilled with this simple sauce. 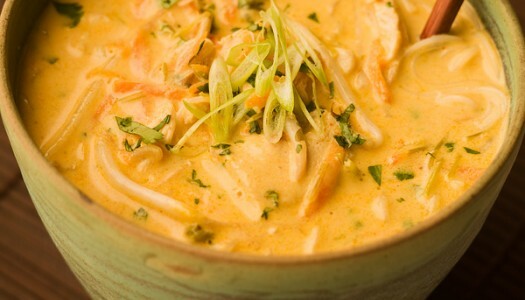 Its sweet and pungent flavour easily stands up to the richness of the fish. Whenever possible we choose wild Pacific salmon; it’s the most sustainable choice available. We’re also big fans of farm-raised Atlantic salmon. It’s much better for us, and the environment, than beef or meat every day. Season the salmon fillets with lots of salt and pepper. Whisk the maple syrup and mustard together. Place the salmon in a small pan or resealable plastic bag. Pour the marinade over the salmon and marinate for 1 or 2 hours, or even overnight. Build a hardwood fire and let it die down to a thick bed of glowing coals, or preheat your barbecue to its highest setting. Grill the salmon fillets for about 5 minutes on the first side, a little less on the second side. Serve at once. You can easily bake this fish as well. Just pop it into a preheated 400 °F (200 °C) oven for 12 minutes or so. You can personalize the marinade a bit as well by adding 1 teaspoon of curry powder or chili powder. You can also substitute honey for the maple syrup. Braising is my favourite cooking method. 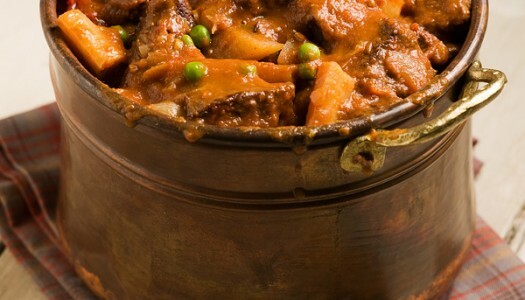 I just love the way it can transform an inexpensive, tough cut of beef into a tasty tender stew. Toss in the earthy flavours of root vegetables and aromatic red wine, and you are well on your way to a rich flavour base. But the real secret to a truly memorable beef stew is patiently browning the meat. You found it! This is the single most requested recipe in my entire repertoire. Maybe its because the sweet, sour, spicy, salty and savoury flavours of Thailand are one of my favourite ways to fill a bowl. They’re seductively addictive, always well balanced and one of the world’s great cuisines. They’re also easy! This is a very simple dish to make.